GUEST - I can understand that your wife is expecting a second child, so she's eating for two. But why does your son have such a large appetite all of a sudden?? 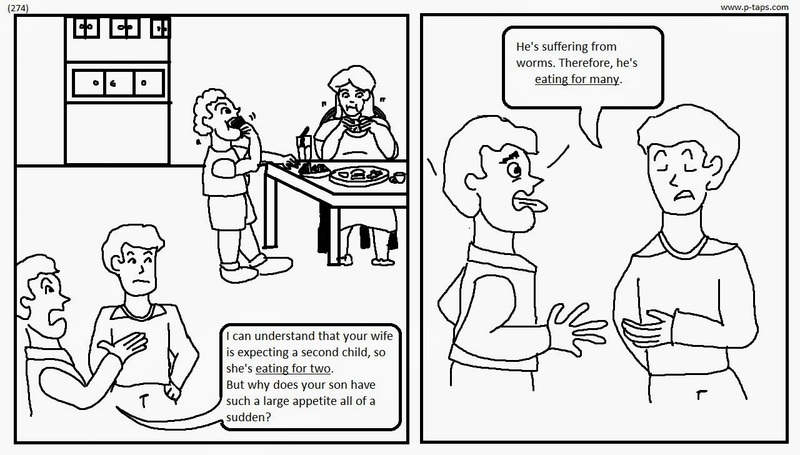 HUSBAND - He's suffering from worms. Therefore, he's eating for many.